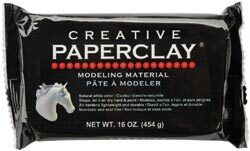 Creative Paperclay is a unique air hardening modeling material that requires no firing or baking. It is clean, odourless and easy to use. It can be sculpted, moulded or shaped while moist and it accepts and retains fine details. 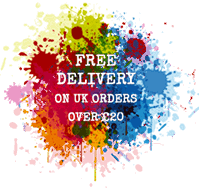 Adheres easily to wood, canvas and most surfaces without glue. Air dries hard. Once dried, it can be painted with any kind of paint - just like painting on wood or paper. This package contains 16 ounces of natural white modeling material.